I purchased the shoes and initially liked them. It took maybe 6 - 10 games for me to break them in. I bowled with them during a short summer league and all was good. I also wore them during a short fall league and all was good. I began the winter league and the rubber peeled back on my left shoe beginning at the toe (front of shoe). This occurred during my first gam. I bowl on average 3 games per week and I'm a right handed so my left foot remains on the ground when I release the ball and my left foot sometimes ends on my toes / the front of my left shoe. I do not think this is a quality product as the rubber should not have peeled off that fast. I owned a pair of Dexter shoes and they lasted for years. Oh well, I will take my time to purchase another pair. 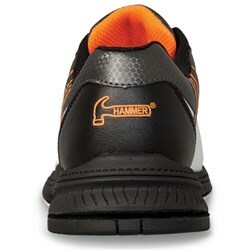 Unfortunately, it will not be Hammer shoes, even though I enjoy my Hammer ball. The surprise on my daughter's face was priceless. She loves the shoes and had been wanting them. Is it available in size 6? Hello! Unfortunately the shoe sizing starts at size 6.5. At this moment the shoe has not been released so we do not have enough feedback to know for sure. However, we could not guarantee that any of our shoes are going to fit exactly the same as another. We do offer a True Fit Guarantee option just for this reason and if you have any concerns over the sizing, we suggest to get the True Fit with your order to help make the exchange process fast and easy. 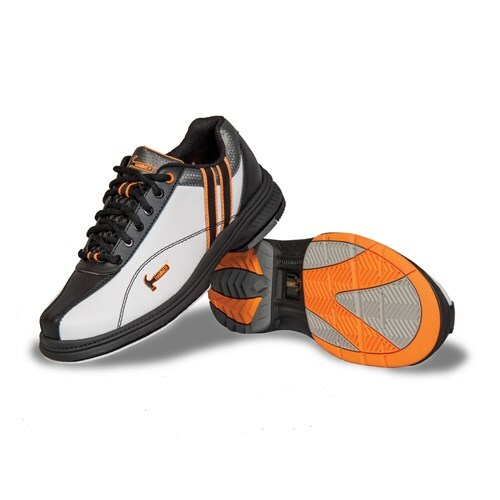 Hi BLP, they are actually made of a synthetic microfiber leather. What is True Fit and extra cost? Hello Pat! The True Fit Guarantee is something we offer to cut down on the cost and time frame of our exchange process. The True Fit is an extra $5.99. Do you know what date they will be in? Hi Jean, Hammer hasn't released the specific date that they will be getting these shoes to us. What we know now is that they should be in the next few weeks. 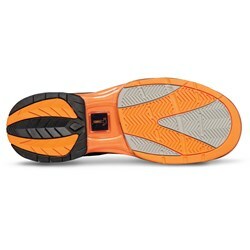 Are there more slide pads availabe for this shoe? Good question, Rob! Hammer hasn't released their extra pads yet. 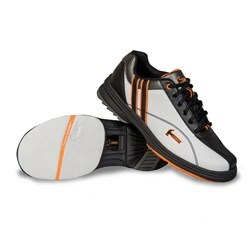 For now, you can use the extra soles that Brunswick makes for their TPU X shoes. Hello! You are right--the microfiber is a man-made material. I would like to know and hopefully do they come in wide? Hello! Unfortunately these shoes do not come in a wide width. 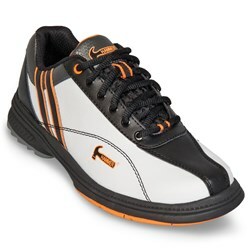 We do, however, have other wide width shoes on our site. is there a slide heel for these shoes? How many slides come with the shoe? Just the one slider or will they have a 3 different ones with the shoe?? Hello! The shoe only comes with the slide on the shoe. Other ones will need to be purchased separately. Do these come with the protective bootie? Hello Brandan! No, these do not come with the shoe covers. You would need to purchase those separately. Assuming the materials in the ladies shoe is cheaper than the mens shoe,why doesn't Hammer offer this shoe to men as well? Hi! Hammer is always coming out with new products. The materials will be same for the womens shoe as the mens shoe. Are these shoes good for people that have bad drag toe? Hi Lexy. Usually people with a serious toe drag will find something that has a toe cap to protect the toe part of the shoe from becoming damaged. You can always purchase a toe cap for your shoes to protect them. I am looking to purchase these shoes, are they in Stock for purchasing? Yes, this shoe is ready to ship out. We show to have all sizes in stock right now but if any sizes were to be out of stock, we would clearly mark that size as backordered in the size selection box. Hi, Which country you use as size of shoes? I have to learn because I can convert to Europe sizes. I interest 37,5 (woman) and 41 (man). Thanx. Hello Engin. The sizes that we use for our shoe sizes will be USA sizing. is it available in size 8-1/2 narrow? hello. Unfortunately we do not sell any narrow sizes. Can a man wear this shoe? Hi Brian. Yes, men can wear this shoe as well. If you wear a size 8 in men's you will need to purchase a size 10 in women's. Have replacement soles & heels been created for this shoe yet? Hello Tammy. Hammer recommends using KR Strikeforce replacement soles and heels at this time, for Hammer has yet to have manufactured replacement soles and heels. Will they make it for a left hand bowler? 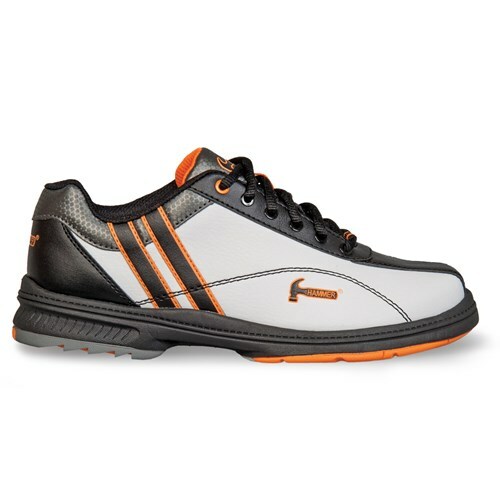 Unfortunately, at this time, they are only made for right handed bowlers. Would you consider these shoes flat from front to back or is the heel taller than the front part? Thank you. The heel will be a bit taller than the rest of the shoes. These shoes are not flat from front to back. Hammer has only produced the Right Handed version of this shoe. Due to the time it takes to produce the Hammer Womens Vixen Right Hand ball it will ship in immediately. We cannot ship this ball outside the United States.